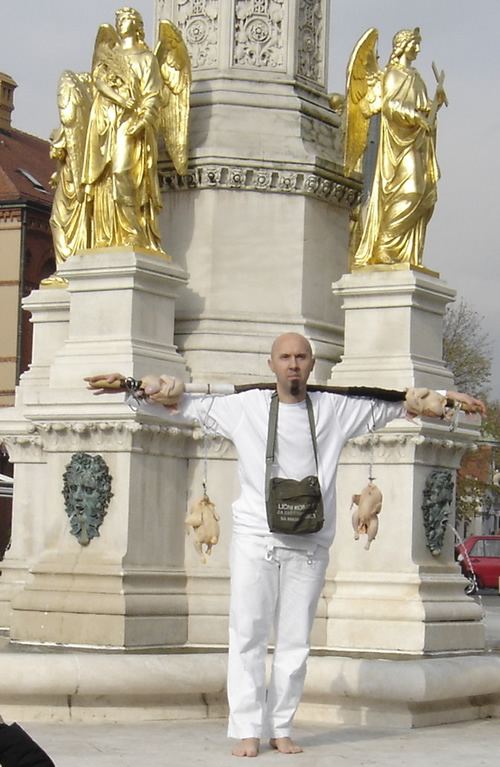 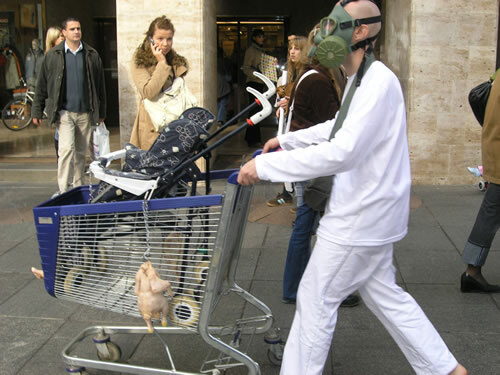 AFC - 11/05/05 Performance "T4 - Work in Progress"
Animal Friends invites to an intriguing performance by Robert Farnciszty, which takes place on Saturday, November 5, 2005, in the city center, and will begin near a fountain in front of the Zagreb cathedral at 12 noon. 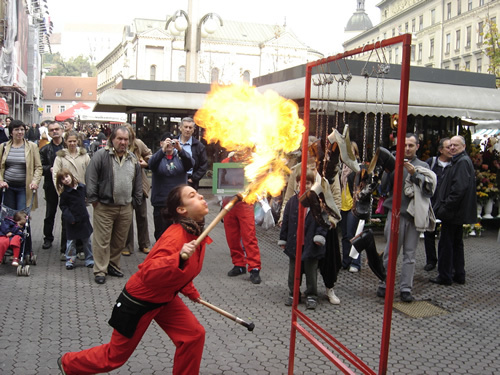 Senata Hren, fire swallower, and Nina Coric, narrator, will take part in the performance alongside the author of the performance, Robert Franciszty. 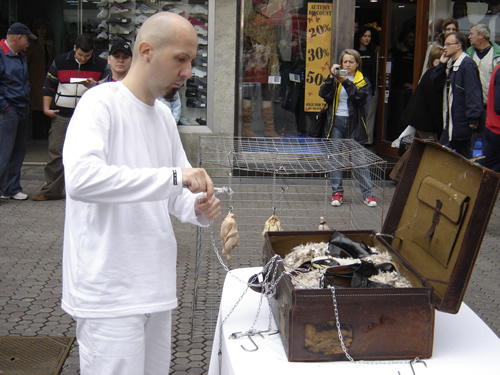 The music was composed by Igor Bogdanic, whilst a video was made by Drazen Jeren. 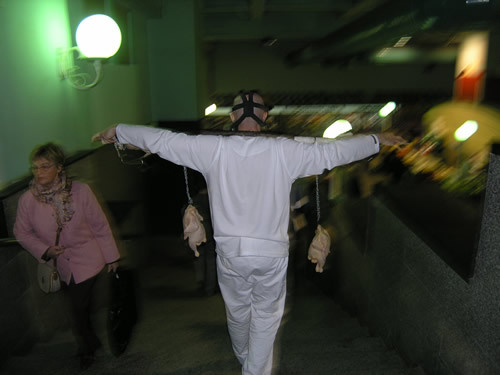 With this performance Animal Friends wants to announce the promotion of the controversial book Eternal Treblinka: Our Treatment of Animals and the Holocaust by Charles Patterson which will be promoted in cooperation with the Department of Culture of the City of Zagreb on Wednesday, November 9, 2005, at 7:30 P.M. in the Hall III of the Faculty of Arts, Ivana Lucica 3.